Have you stopped believing in the healing power of God? Do you read in the Bible about the healing miracles of Jesus and wonder if those stories are relevant today? What does it mean that Jesus is the same yesterday, today, and forever? Jonathan Peterson, Marketing Manager for Bible Gateway interviewed Mary J. Nelson (@maryjnelson1) about her book, Jehovah-Rapha: The God Who Heals (Shiloh Run Press, 2016). Author note: This interview was originally posted on the Bible Gateway Blog on April 28, 2016. What is the meaning of your book’s title? Mary J. Nelson: In Bible times, names were not only used for identification but to reveal someone’s purpose, nature, and authority. Jehovah is the Hebrew name for “I AM,” the unchanging, eternal God as revealed to Moses in Exodus 3:14. By adding a second part to His name as He often did throughout Scripture, God revealed additional facts about His character and His care and concern for His children. 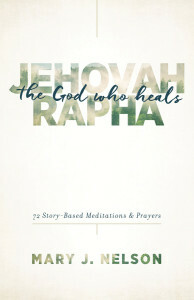 In Exodus 15:26, He called Himself Jehovah-Rapha in Hebrew meaning, “I am the God who heals you.” In naming the book, Jehovah-Rapha: The God Who Heals, I wanted to capture the heart of a loving God whose nature is to heal and restore as revealed through the Biblical and modern day stories in the book. In essence, He is saying, healing isn’t just something I do. Healing is who I am! How do you intend your book to be used by readers? 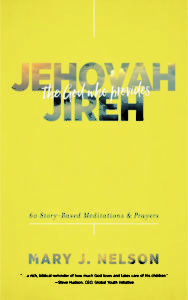 Mary J. Nelson: For readers seeking healing and restoration, this book offers 72 biblical and modern healing meditations and stories that will guide them on a journey of prayer and devotion, and lead them to Jehovah-Rapha, the Ultimate Healer. On their journey toward wellness, my hope is to correct any misunderstandings they may have about the nature and character of God. I want them to know that He is a good and faithful Father who loves them and wants the best for them, not a cruel and vindictive Father who makes people sick (John 10:10). As readers engage in each biblical teaching, each true story, and each guided prayer for healing, they will draw closer to the heart of Jesus and discover He is all they will ever need. You write that God always heals those who seek him? Always? Please explain. Mary J. Nelson: God can heal by physicians, surgeons, climate, renewed mindsets, common sense, a direct touch of the Holy Spirit, and more. Sometimes He heals instantly, sometimes gradually, and always eternally. While His methods and timing are not always predictable, He is the One who heals all our diseases (Exodus 15:26; Psalm 103:3). He provides physicians to prescribe medications to destroy mutated cells, kill harmful organisms, and regulate body systems. He uses surgeons to remove unwanted tissues and repair defective organs. He provides sunny dry weather to bring health to the bones of the stiff and crippled. He uses counselors and ministers of inner healing to help us heal from wrong mindsets and the wounds of our past that can impact our physical health. Through forgiveness and releasing bitterness, God can rewire old toxic thought processes, causing the body, soul, and spirit to be healed and restored. He also gives us common sense and a sound mind to make good choices. God has established natural laws for health and wellness. Our health can improve greatly when we avoid harmful addictive behaviors and take care of our bodies. Sometimes He bypasses all of His natural methods and heals instantly through a direct touch from the Holy Spirit. Being healed miraculously is not “more spiritual’ than being healed medically. God is sovereign over all healing, whether supernatural or natural, and the coming of His Kingdom made healing in the most impossible situations possible today (Matthew 19:26). For followers of Jesus, eternal life is always the final cure in a world where physical death is a fact. Through His resurrection, we have the promise of immortality where there is no more death or sorrow or crying or pain and evil is gone forever (Revelation 21:4). Briefly share one or two of the compelling stories in your book. Mary J. Nelson: Ryan was a senior in college when he was diagnosed with leukemia. He went through grueling chemotherapy treatment and received a good prognosis. He was just getting his life back in order when he relapsed. Defeated and hopeless, he gave up. He would not face more treatment. And then some people of faith gathered around him to pray. God lifted him out of the pit and he could hope again. A bone marrow transplant was an answer to prayer and his brother was a perfect match. Once again, he was ready to get on with his life, when God had a different plan. Ryan felt the sacred call to ministry, attended seminary, and he is now a lead pastor. God took what the enemy had intended for evil and turned it into something good for His glory (Genesis 50:20; Romans 8:28). Zach was 7-months old when he was diagnosed with a rare from of lung cancer. His parents sought help from Pray for the Cure, our cancer healing and discipleship ministry. After the initial surgery, doctors wanted to watch and wait. The prayer team walked closely with the family, praying with them and encouraging them, as they tried to live as normally as possible from check up to check up. Finally, when Zach turned 4, doctors thought it was time to remove the tumor. Covered in prayer, his parents had just settled in for a long wait when the puzzled surgeon burst into the waiting room. When he opened up Zach, all he found was pink healthy lung tissue. What do you say to someone who does not receive physical healing no matter how much she prays? Mary J. Nelson: In my ministry to the sick, I pray in faith and expect God to heal (James 5:14-15). Then, I leave the rest up to Him. When healing doesn’t come in the way we had hoped, I don’t pretend to have an answer. I don’t tell them they just need more faith, believe more, or read their Bible more. I listen, love, and don’t judge. It makes a huge difference when we pray, regardless of the outcome. People connect with Jesus often for first time in their life, they may get physically healed, they feel His peace, and they always feel loved. I encourage everyone who is waiting on God for healing to pray persistently (Matthew 7:7), surround themselves with praying friends, worship and praise Him often, find comfort in Scripture, find reasons to be grateful, bless others, and forgive. I always encourage them not to base their beliefs on experience. Jesus is standard for all truth. God is who He is, regardless of our perspective. My heart is to help them navigate this tension so what they see and experience doesn’t shake their faith in God and His truth (Hebrews 11:1). I want them to know God, the One who heals; to chase after the Healer, rather than the healing. What do you say to someone who doubts God’s healing power? 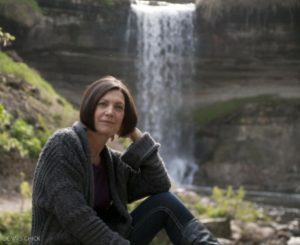 Mary J. Nelson: When someone doubts God’s healing power, I’m reminded of the blind man who Jesus healed on the Sabbath. After several attempts by the religious leaders to discredit his story, he simply said, “One thing I do know. I was blind but now I see!” (John 9:15). All I can do if someone doubts is share my own story of how I experienced His healing power and how I’ve personally witnessed Him heal others through some of the stories I’ve shared in this book. I’ve seen Him miraculously heal a woman with Stage 4 cancer after she gave up years of hate and bitterness. I’ve witnessed blind eyes and ears open on prayer lines in India. I’ve walked hundreds of people through cancer treatment and watched Him work through doctors and medicine to heal and restore their lives. I’ve been there when people received their eternal healing, the greatest miracle of all, and watched entire families find Jesus through the journey of their loved one. What role does the Bible play in helping a person see God’s healing nature? Mary J. Nelson: We can know God’s healing nature, because Jesus said if you have seen me, you have seen the Father (John 14:9). He is the visible image of the invisible God (Colossians 1:15). When He walked on this earth, He had deep compassion for the sick and the lost (Matthew 9:36; Luke 5:12-13). He both proclaimed and demonstrated the Kingdom of God by healing and delivering people (Mark 1:15; Acts 10:37-38). He healed everyone who came to Him, and His healings made up 25% of Gospels (Matthew 4:23). Then, as part of his disciples’ preparation, He gave them the power and authority to do the same in His name; He sent the 12 (Luke 9:1-2), He sent the 72 (Luke 10:8-9), and then He sent us all into the world to preach the good news. He said we would be able to place our hands on the sick and heal them (Mark 16:15-18). The ministry of Peter and Paul further demonstrated that healing was a central and vital part of God’s message to the world (Acts 4:29-30; Romans 15:15-18-19). Jesus is the same yesterday, today, and forever (Hebrews 13:5). He is still Jehovah-Rapha, the God who heals. What are your thoughts about Bible Gateway and/or the Bible Gateway App? Mary J. Nelson: Bible Gateway is absolutely essential to my writing, teaching, and my own personal Bible study. I love the passage lookup, the key word search, and having all the translations instantly available and well as the commentaries for reference as needed. Author note: What’s next in the Names of God series? Jehovah-Jireh: The God Who Provides will be released on March 1, 2017 by Shiloh Run Press. Filled with powerful prayers, devotions, and true stories of God’s provision, this is the perfect book for job seekers, the unemployed, the financially burdened, and anyone who desires to approach their work and calling from a Biblical perspective. Available for pre-order now! Lord, thank you that your spirit lives in the heart of every believer. Holy Spirit, take every thought captive and assume your rightful place as ruler over my thoughts and mind! Please help me to push all the cancer clutter and commotion aside so I can receive all that you have for me. 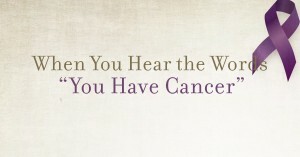 I may have been told that I have cancer, but I declare that I have been healed by His wounds (1 Peter 2:24). I may have been told the cancer is aggressive or worse, but I declare that nothing is impossible for You (Luke 1:37). My doctor may have predicted a discouraging prognosis or a limited life span, but I declare that He will satisfy me with a long life (Psalm 91:15-16). Lord, when I pray the prayer you taught us, I pray that your will be done, here on earth as it is in heaven. Lord, there is no cancer in heaven so there can be no cancer here! I call heaven into this place and release healing over my body, soul, and spirit, in Jesus name. In the name of Jesus, I speak to the cancer cells that have invaded my body. I curse them and command them to die. 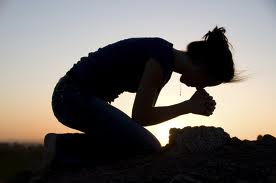 Lord, please bring my immune systems, cells, and all body organs back into perfect alignment with your original plan. In Jesus name, I release my body from the effects of this cancer, today and forever. Thank you Lord, that you are Jehovah Rapha, the God who heals ALL our diseases. Amen. 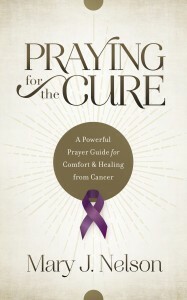 Are you or someone you love struggling with a cancer diagnosis and unsure how or what to pray? If so, I wrote this book of powerful prayer starters just for you. You can click on the cover image for more information or to purchase a copy for yourself or as a gift for a friend. Take His hand and let Him lead you through the dark valley of cancer. Let Him reveal to you the great and remarkable secrets you do not know. And if He blesses you through His words of truth and the passionate prayers you find in this book, please drop me a line and let me know.